Congratulations on your participation in the Clayton Kids Triathlon! It is an accomplishment! Because of the rainy day I did not get the chance to meet you. 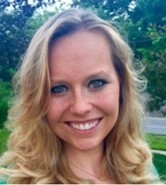 My name is Dr. Amanda Peiffer and I am an associate chiropractor at Hands on Health (handsonhealthstl.com.) 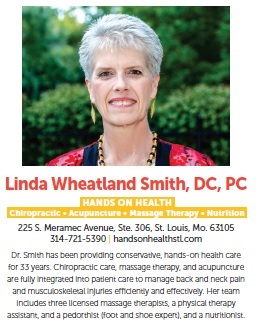 Hands on Health has been offering integrated healthcare to the St. Louis community for over 30 years, including chiropractic, acupuncture, and massage therapy. 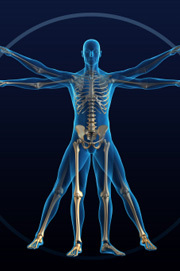 In addition to traditional chiropractic care, I specialize in sports injuries and rehabilitation. My Masters in Sports Rehabilitation and certification as an Internationally Certified Chiropractic Sports Physician enable me to take a comprehensive approach to treating pain and injuries in people of all ages. I welcome the chance to meet you. Please bring in this letter to receive a complimentary consultation and examination. I wish you all the best as you continue your commitment to fitness and a healthy lifestyle. I hope this note finds each of you well. I have missed seeing many of you since I discontinued my participation with Blue Cross Health Insurance. I am now happy to tell you that Dr. Amanda Peiffer has joined me at Hands On Health and is a provider for Blue Cross Blue Shield health insurance. 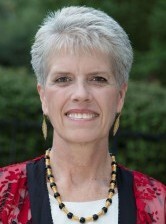 Dr. Peiffer grew up in Southeast Missouri where her passion for an active healthy lifestyle began. She received a B.S. in Biology and Human Environmental Science with a focus on Nutrition and Fitness from the University of Missouri. While training and competing for the University of Missouri-Columbia Track and Field team, she was introduced to chiropractic and its vast array of benefits. Dr. Peiffer was awarded her Doctorate in Chiropractic from Logan University in 2015. In addition, she received a B.S. in Life Sciences and a Master”s degree in Sports Science and Rehabilitation. Dr. Peiffer has specialized training from the Biofreeze Human Performance Center at Logan, a clinic specializing in sport specific injuries and rehabilitation. During her time at the Biofreeze Center, Dr. Peiffer completed rotations treating athletes at Lindenwood University, SIU-Edwardsville, Missouri Baptist, Mizzou, and at many athletic events in the St. Louis area. Dr. Peiffer has received her certificate as an Internationally Certified Chiropractic Sports Physician (ICCSP). Dr. Peiffer is certified in acupuncture. 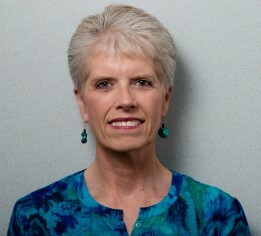 She educates her patients on the importance of nutrition and living a healthy lifestyle. Dr. Peiffer looks forward to meeting you and helping you with your musculoskeletal issues and pain syndromes. Please call 314-721-5390 to set up your complimentary consultation with Dr. Peiffer. We value each of you as a patient and a friend and look forward to working with you toward your goals of a pain free and healthy life. 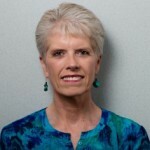 For the very first time The Arthritis Foundation has chosen a Chiropractic Honoree to acknowledge the important role that hands on healing can have for those living with arthritis. I am proud to serve in this capacity for 2016. 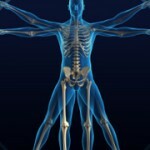 More than fifty million people, including 300,000 children, live with arthritis pain every day. That is one out of every five people who may have difficulty buttoning their shirt, tying their shoes or even picking up their child or grandchild. I want to make a difference in their lives, so I joined the Walk to Cure Arthritis. The walk will be held on May 20th at 6:15 pm on Logan University’s beautiful campus in Chesterfield, Missouri. I’m asking for your support to help conquer this serious disease. Please use the link below to make a secure online donation to my fundraising efforts. Your donation helps people with arthritis to manage their disease, gain access to the critical medications they need to live full, healthy lives and benefit from cutting-edge research that provides better treatments today and promises a cure for tomorrow. Walk to Cure Arthritis may only last one day, but the impact of your donation will help create millions of everyday victories for people with arthritis while we search for a cure. Every step counts and every dollar matters. Please join me during this important campaign. Go to: walktocurearthritis.org/stlouis/handsonhealth and make a donation, join our team, or both! I hope this note finds each of you well. 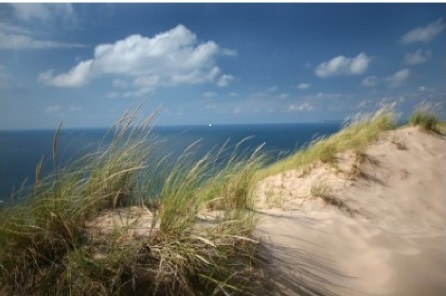 I will be out of the office July 29th-August 3rd and August 15th-25th. During these times there will be three massage therapists available to help you, and my assistant, Jeanne. Jeanne is a physical therapy assistant and can help you with deep tissue massage and physical therapies while I am out of the office. July 29th through August 3rd, I will be a workshop leader for the Women’s Summer Seminar at Camp Miniwanca in northern Michigan. I will teach yoga and meditation, lead a wellness workshop, and be their song leader. From August 15th through the 25th, my family and I will hike the Inca Trail. It has been on our bucket list. We will camp and hike for five days to reach the Sun Gates of Macchu Picchu. Dry Needling is a procedure in which very thin needles are inserted into the painful areas of muscles or tissues of the body. The needle penetrates through the skin into the sensitive myofascial trigger points (irritable hard knots within the muscle) and stimulates the underlying injured muscles to relieve pain and promote healing. These fine needles deactivate the sensitive trigger points thereby decreasing pain and restoring the normal muscle functions. The needles do not inject any medication into the body. The treatment is very safe and the discomfort is minimal. Dry Needling of muscular trigger points causes relaxation and a release of the spasm.Tiny injuries created by the needle insertion cause a local healing response in the dysfunctional, painful tissue, which restores normal function through the natural healing process. Dry Needling stimulates neural pathways which blocks pain by disrupting pain messages being sent to the central nervous system. Opiod suppression at the spinal cord level. The Gate Theory of pain Pain messages encounter “nerve gates” in the spinal cord that open or close depending upon a number of factors. When the gates are opening, pain messages “get through” and pain can be intense. When the gates close, pain messages are prevented from reaching the brain and may not even be experienced. Activating neurotransmitters in the central nervous system, which contribute to a systemic pain inhibiting effect, and this neurotransmitter response extends the therapeutic benefit to other areas of the body. Dry Needling causes a local chemically mediated response through the release of Bradykinin, Substance P, and other body proteins and neurotransmitters, which block the transmission of pain messages. Call us at 314-721-5390 to schedule a visit to see if dry needling will be helpful for your pain and injuries. Melatonin is a hormone secreted by the pineal gland in response to darkness. Melatonin is involved in the regulation of sleep. In addition research is demonstrating its impressive biologic affects in preserving health and preventing disease. As we age Melatonin secretion drops off markedly, which is why sleep disturbances are so common after age 40. Melatonin may be taken as an over the counter supplement. It is important to check in with your physician for dosages and interaction with other medications. We integrate chiropractic, massage therapy and acupuncture into our treatment programs. Please plan on each visit taking approximately 45 minutes. Massage therapy is available throughout the week and on weekends by appointment.